Past experiences show that the current trench warfare between different national economic actors could lead to a crisis. 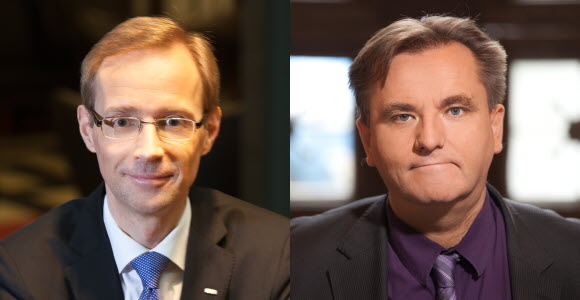 The central bank is part of the problem and they should adjust their policies, say SEB economists Robert Bergqvist and Håkan Frisén in an op-ed piece. During the past quarter century, Sweden has developed good “insurance” against economic and financial instability like that of the 1970s-1990s. The country’s stabilisation policy frame- work, including inflation targeting and floating exchange rates as well as firmly established expenditure ceilings with fiscal balance and debt anchors, is now gradually expanding into macro-prudential policy. But the combination of high growth and low inflation, along with rapid debt growth, has led to tensions between economic policymakers. Lack of coordination and overly strict interpretations of the framework are clearly increasing the risk of a destabilising economic environment. The Swedish economy is showing both strengths and weaknesses. The expansion has broadened, and there is rapid job growth in most sectors. Balance sheets are strong in both a historical and global perspective. Government debt is falling towards levels we have not seen since Gunnar Sträng was finance minister over 40 years ago. Household net wealth and savings ratios are at record levels. Our total net financial assets in other countries exceed SEK 1.3 trillion (2016). But meanwhile, very strong growth is being driven by feverish imbalances. The housing shortage is acute, forcing high construction activity. In addition, the economy is being lifted by heavy strains on public finances due to the recent refugee crisis, while household debt is growing at 7 per cent year-on-year. We have ended up in a situation where various policymakers isolate themselves from one another, while accusing each other of passivity. The prevailing decision-making gridlock in Parliament, especially in the housing policy field, is unfortunate and risky, yet it is something that the Riksbank and other authorities can factor into their policymaking without contravening the price stability target stipulated in the Sveriges Riksbank Act. It is therefore natural for Sweden’s nearly 350-year-old central bank to play a central role in a discussion of today's economic policy risk-taking. An independent monetary policy is not synonymous with an isolated monetary policy. Although the key interest rate is a blunt weapon for managing sectoral imbalances, it is undeniably difficult not to recognise its importance to debt and home price formation. To a greater extent than before, inflationary forces are now dependent on international developments and are driven, for example, by globalisation and transformational technologies. In such an environment, forecasters need to make allowances for more sustained divergences in inflation and growth from historical patterns than previously. There are reasons to listen humbly when the Bank for International Settlements (BIS) soberly asks: “How much do we really know about inflation?” If the nature of the disease is unclear, what medicine is the right one? Do not overdose the patient. Milton Friedman’s conclusion that inflation “is always and everywhere a monetary phenomenon” certainly requires some nuancing. The Riksbank has stated honestly (Riksbank Study, May 2, 2017) that its inflation forecasts are not nearly as good as those of others for longer periods than one year. This may be due to exaggerated faith in the efficiency of national monetary policy and its potential for fine-tuning inflation. Having chosen to explain, and thus indirectly accept, major forecasting errors by saying that it wishes to manifest its confidence in the potential for achieving its inflation target within two years risks undermining the credibility of Riksbank forecasts and policies. Because of new conditions, monetary policy targets and their application are being questioned internationally. The clear relationship between resource utilisation and inflation that has been important in keeping policy from being pro-cyclical and destabilising seems to have weakened. This increases the importance of taking into account the adverse side effects of policy, for example in the form of growing wealth gaps. Zero interest rates also contribute to risk-taking and generate "zombie actors"; such as inefficient companies that survive and make new investments in an artificial environment. BIS indicates that globally, the proportion of "zombie companies" has doubled to more than 10 per cent since 2008. Today central banks are choosing different ways of dealing with the dilemma of a weakened relationship between the resource situation and inflation. The US Federal Reserve is taking advantage of its dual mandate, which allows a tight labour market to serve as a direct justification for less extreme monetary policy. Another possibility is to declare that target fulfilment will be allowed to take longer than normal, thereby avoiding rigid two-year inflation forecasts. In Norway, Norges Bank has also chosen to explicitly state how it weighs in the risks of financial imbalances, in order to thereby avoid overly extreme measures. Canada is also looking at the housing market and has hiked its key interest rate. In Sweden, we welcome the return of a variation band around the inflation target, but so far the Riksbank has played down the consequences of this. In other areas, too, the Riksbank has chosen to ignore arguments that may justify less extreme stimulus measures. As recently as July, the Riksbank confirmed that its first key interest rate hike from today's -0.50 per cent will not occur until after one year, with continued securities purchases until its holdings represent 40 per cent of nominal government bonds outstanding. In a remarkably way, the Riksbank has linked its policy ever more tightly to the European Central Bank, with a clear ambition to keep the krona undervalued. One reason why the crisis of the 1990s became severe was that Swedish wage formation would not adapt to the fixed exchange rate system. Now paradoxically, the situation is the reverse. Today employer and employee organisations seem to behave as if Sweden has a fixed exchange rate policy, not an inflation target. Wage formation that is linked more firmly to Germany and other countries is not unreasonable, but it further decreases the ability of the Riksbank to influence domestic inflation and inflation expectations. In such a situation, the Riksbank should also find it easier to accept slightly lower pay increases and inflation, in other words consistent with the ECB’s target of less than 2 per cent. The Riksbank must accept the complex new situation – political as well – and find ways to apply its inflation targeting policy while interacting with other policymaking areas. There are still reasons for expansive monetary policy in Sweden and globally. But in light of strong economic growth and increasing housing market imbalances, it is not reasonable for us to pursue a more extreme policy than other countries. As deflationary risks fade, it seems irresponsible not to take advantage of the openings now available to justify a less extreme policy. Rigid application of stabilisation policy frameworks, combined with trench warfare between different national economic actors, has repeatedly contributed to economic crises in Sweden. It ought to be time to finally learn some lessons from this behaviour pattern.